After meditation this morning, I opened my eyes. From the living room, I could see the pond nice and full from all the heavy rains. The water level had almost bottomed out over the summer. The nor'easter last week changed all that. The pond reminded me of life. How sometimes our energy is low and we feel drained from doing too much, whether it be physical, emotional, or mental. Something unexpected happens and we get replenished. What seemed like a lost cause becomes a well-spring of opportunity overnight. Like this morning, two ducks came splashing into the pond. Their black and white heads bobbed in and out of the water. Now you see them. Now you don't. Inspired, I grabbed my camera and hurried to the pond. I crouched down by the pines and waited for them to emerge. There was no sign of my fowl feathered friends. I hadn't seen them fly away, and wondered how long could they stay under water? I called to my guardian angel. 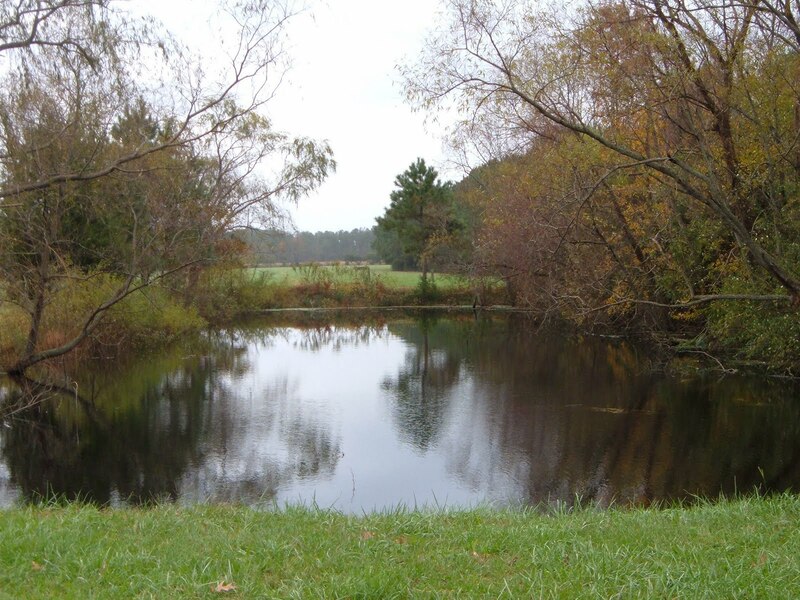 Still no action, so I respected their privacy and returned home with just a picture of the pond. The ducks are there...under water. Before long, they surfaced, bobbing up and down, leaving a wake in the water. I was content to admire them from a distance. Soon flapping wings, splashed stirrings things up. It would have made a perfect picture. I wished I hadn't given up so soon as I watched them fly away to enjoy the rest of the day. In Animal-Speak, duck symbolizes comfort and protection. "Ducks can remind us to drink of the water of life as well as to nurture our own emotional nature. For those with a duck as a totem, it may reflect an inability to feel comfortable with most people in your life. It may reflect a need to find comfort in your own element and with those of like mind and spirit. Ducks can remind us that we're going to have such an opportunity."